Kadie is responsible for the VisionPerio company accounts. 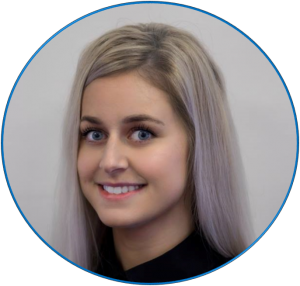 She joined the team soon after completing her NVQ Level 3 in dental nursing, and quickly developed her skills to oversee the day to day running of finances. Kadie is very organised and works extremely hard to ensure all accounts operations are up to date and run smoothly. Kadie gave birth to her first son, Rory in September 2017 and is enjoying motherhood so much that she has now split her week between work and looking after her son. She lives locally to the VisionPerio headquarters with her partner and is often seen enjoying family walks in the Saddleworth area. She is very house proud and admits she is a little obsessive when it comes to cleaning.